Oyo State Governor Abiola Ajimobi has attributed the slow dispensation of justice to the high number of cases that judges across the country are being burdened with. The governor said this on Wednesday while inaugurating the Oyo State Multi-Door Court House located within the premises of the State High Court, Ibadan. He appealed to litigants to embrace the newly-introduced multi-court door initiative which he described as a friendly alternative route to seeking redress and liberalising access to justice. 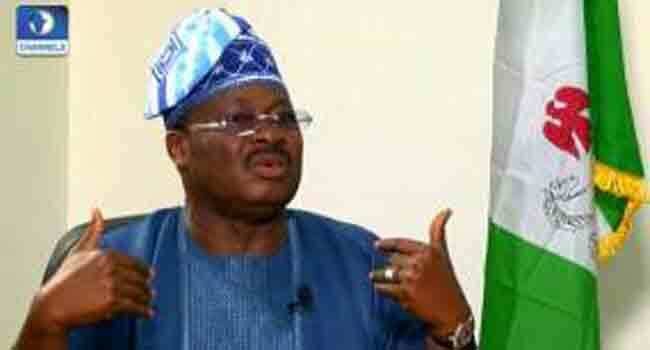 Governor Ajimobi explained that the multi-court door system was in furtherance of alternative dispute resolution system which he described as Nigeria’s native jurisprudence before the contemporary court system came into being. “The official commissioning of the multi-door court house today is a clear signal that we are returning to our root where issues are resolved amicably without the much-experienced delays, complex legalese and drain on the resources of the state and disputants,” he said. The governor stressed that the aim was not meant to minimise the roles of the courts, especially the courts of records which play a pivotal role in the maintenance of civil and social order in the society. He, however, said the objective was to ensure that government provides a credible alternative, yet constitutional route, towards dispute resolution and attainment of justice. In further justifying the introduction of the multi-door court system in the state, Ajimobi frowned at what he called the “astronomical addition to the court docket quarterly”, saying the development might hamper speedy dispensation of justice. He insisted that the multi-door court process would enable disputants to access the various other dispute resolution options such as mediation, arbitration, conciliation, early neutral evaluation and hybrid processes. “I understand from the information available to me that each one of our judges in the High Court currently carries a caseload of between 300 and 400 cases per court, which number increases monthly. “So far, within this first quarter of 2018 only, I am informed that 306 new civil cases have been filed by disputants before the Oyo State High Court and 173 criminal cases filed by the Ministry of Justice and the police,” the governor said. He decried that in such situation, the administration of justice system may never be able to achieve speedy dispensation of justice without an initiative like the multi-door court. Also speaking at the occasion, the State Attorney-General and Commissioner for Justice, Mr Oluseun Abimbola, highlighted the landmark performances of the present administration. He described the multi-door court process as part of Governor Ajimobi’s administration’s legacy of restoration, transformation, and repositioning the state, for which the legal profession in the state would remain grateful. Abimbola urged all stakeholders and the organised private sector to embrace and harness the benefits of the new initiative in the state’s justice system for their own benefit. The Chief Judge of Oyo State, Justice Munta Abimbola, also thanked the governor for the initiative and promised that the state’s legal administration would do all within its power to enhance justice delivery in the state.